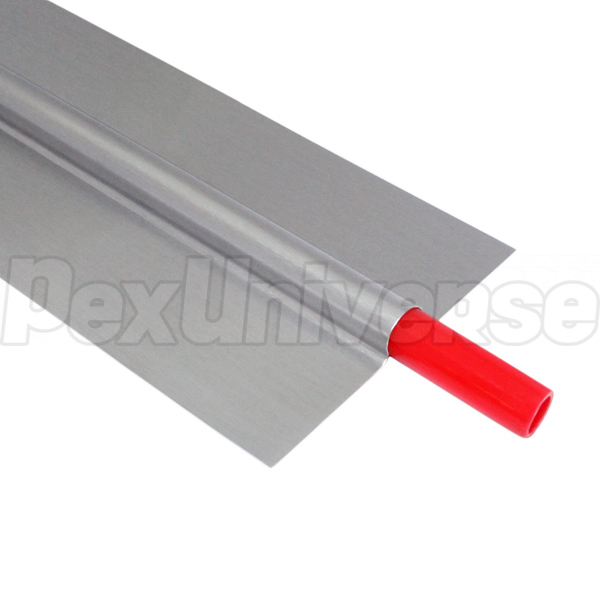 4ft long Heat Transfer Plates are manufactured from stamped aluminum and are 5" wide. 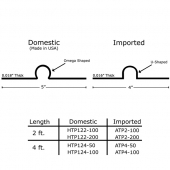 Nominal thickness of these plates is 0.018". 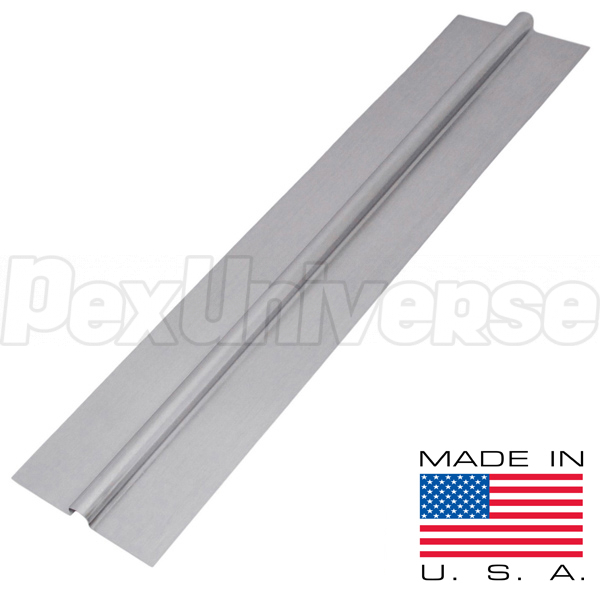 Compatible with 1/2" PEX or PEX-AL-PEX tubing (5/8" OD). 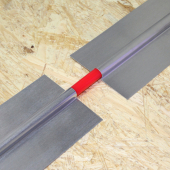 Can be used for under the subfloor (staple-up) or sandwich type radiant heating installations to improve heat transfer properties of the system and lower the water supply temperature, effectively reducing the heating bills. 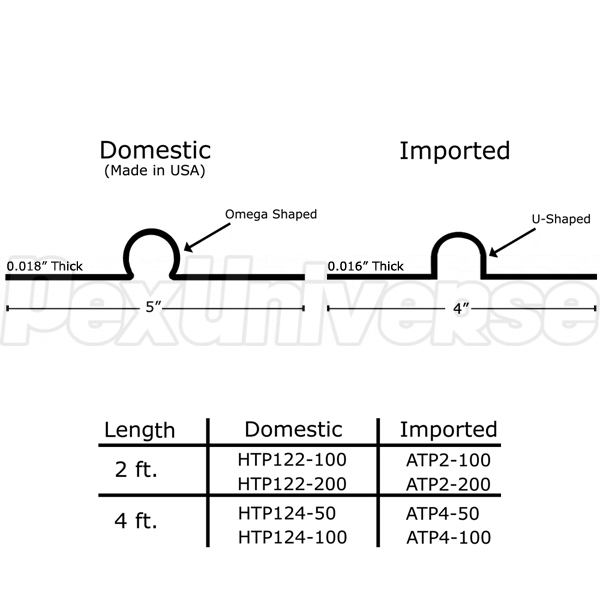 Recommended spacing for parallel tubing runs is 8" OC. Edges of the plates should not touch each other or intersect. Omega-shaped heat transfer plates by Everhot provide superior heat distribution when compared to plates with U- or V-shaped channel and are manufactured in the USA.